Lower Dolpo to Jomsom trek is one of the famous adventurous treks in a paradise unexplored area of Nepal. Lower Dolpo Trek is said to be as an exciting trek that gives you awesome experiences and sightseeing of different natural beauties in the remote areas of the western region of Nepal. The area of the hidden trail of Lower Dolpo region is utilized by the local people as a part of the Phoksundo National Park. The area is populated by different ethnic groups of people including Tibetan inception Bon Po and Buddhists people group. You can get awesome experiences to feel the lifestyle of the local people in the region. The Lower Dolpo trek begins from the airstrip of Juphal after a sightseeing flight from Nepalgunj. The increasing road construction in the way is one of the major barriers that makes the trekking route to be a mysterious trail. 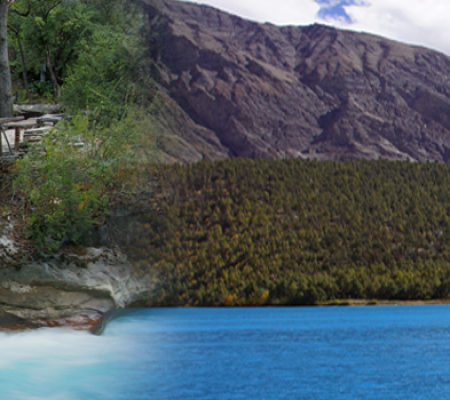 The trip fascinates you with different exciting natural and cultural diversity, beautiful lakes and high passes. You will have different breath-taking sceneries while heading towards rain shadow area. While crossing different passes, you’ll have great opportunities to capture the beautiful moments of magnificent Himalayas of Dhaulagiri and Tibetan peaks in the camera. 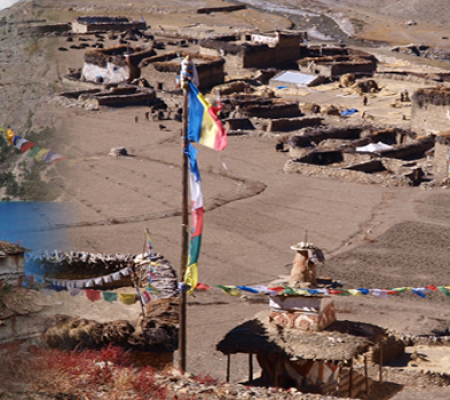 The Lower Dolpo Trek starts after your arrival in Kathmandu. We take a sightseeing flight towards Nepalgunj and then to Jupha. Our trek begins from Dunai straight towards Shartara along with different beautiful villages and forests. We further walk towards Dho Tarap Village via Lahini. We visit and observe the natural beauties of Numula Base Camp and Bagala Base Camp and the trek towards Shey Phuksundo lake. We trek back to Juphal via Rahagaon and then fly to KTM from Nepalgunj. Our trek ends back in Kathmandu. Day 01 Arrival in Kathmandu (1350m). Breathtaking Gorges and colorful Monasteries. Thrilling High Passes: Numa La and Baga La. Amazing views of Dhaulagiri, Kangirowa and the Tibetan stunning Peaks. As you arrive at Tribhuvan International Airport in Kathmandu, capital city of Nepal, you will be greeting by our representative and he/she will drop you to your hotel, where you can take a rest and be fresh. In the evening, our representative will provide you a brief orientation class about the Lower Dolpo -Jomsong trek. Overnight at hotel. The next day, you need to be well-prepared for the trek. 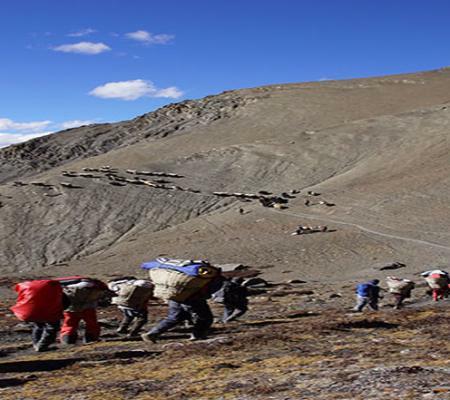 You should know all the essential factors and places while going to the trek. We will have a brief discussion about the trek in the evening. Before that, we’ll also manage for you to visit some religious and historical places in Kathmandu Valley. We will begin our sightseeing tour within Kathmandu, observing the UNESCO World Heritage Sites such as; Royal Hanuman Dhoka Square, Pashupatinath Temple, and Swoyambhunath and so on. Boudhanath Stupa and Pashupatinath, a sacred site for Hindu the temple of Lord Shiva. Soyambhunath Temple (Monkey Temple) that owns a large number of monkey populations in the area. Overnight in the same hotel. Today, after early breakfast, we will take an air-flight from Kathmandu to Nepalgunj. Around 40 minutes scenic flight takes you to beautiful city Nepalgunj, near a boarder side of India. In the evening, you will stroll around and visit a lively market of Nepalgunj along with native settlements. You will stay overnight at Nepalgunj. In this day, early in the morning after having breakfast, we will take a scenic flight from Nepalgunj to Jhupal which is situated at the elevation 2320m. Around 45 minutes scenic flight take you to the beautiful place of Juphal from where you get an opportunity to view amazing Dhaulagiri and Annapurna range. After you reach to Juphal, you will officially begin trekking towards mountain region through following the rain shadow to Bheri river and you will reach to the Dunai which is situated at the summit of 2850m. you will stay overnight at Dunai. In this day, early in the morning after having breakfast, we will head towards Tarakot, surrounded by the Dzong(fort) through the Bheri River and Barbung River gorge. This pleasing trail will lead us to the Tarakot through the beautiful pine woods and reach to the open traced fields.After you reach to the Tarakot, you will get chances to explore the ancient Sandul monastery overthere. You will stay overnight at Tarakot which is situated at the altitude of the 2543m. Today, we will depart Tarakhola from the Bheri river gorge, and we will follow the line of the Tarap Chu stream by crossing beautiful bridge. The way to the Khani Gaon will offers you pleasing views of terraced farmland and isolated village, and you will finally reach to Khani Gaon, which is situated at the elevation of the 2543m. You will stay overnight at Khani Gaon. We will pass the steep slop today, and head through the narrow gorge alongside the river. The way to the Tarap Khola, you will pass native settlements with hidden lifestyle and some of the wooden bridge and finally you will reach to Tarap Khola, which is situated at the elevation of 3450m. you will stay overnight at Tarap Khola. 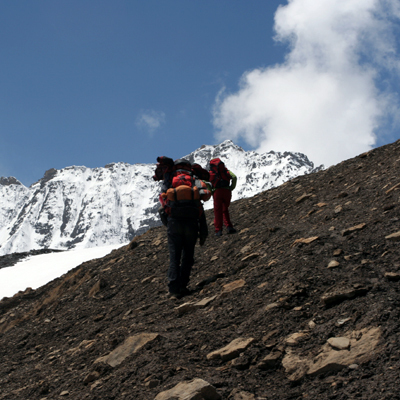 In this day, you will follow ascend through scenic landscape which fills us extra energy to walk and finally reach to the Yak Kharka, which is situated at the elevation of the 3800m. we will stay overnight at Yak Kharka. Today, early in the morning after having breakfast, we will head towards Dho Tarap, which is situated at the altitude of the 4090m. the way to the Dho Tarap, you will pass confluence of Tarap Chu and Lang stream, bushy plants as juniper and wild flowers. On the way, you will get chances to view dry picturesque and mind-blowing Himalayas and further trail will leads to Dho Tarap which is famous for unique and striking architecture of the village. This village is highly influenced by the Tibetan Buddhism. You will stay overnight at Dho Tarap. Today, early in the morning after having breakfast, you will explore the place of Dho Tarap and we will gradually ascend to the high summit and get an amazing view of the surrounding and picturesque setting. You will also get an opportunity to encounter with the people and their unique culture and traditions. In this village, people usually wear homespun garments. You will stay overnight at Dho Tarap. In this day, early in the morning after having breakfast, you will depart Dho Tarap and heads towards Tokyu Gaun which is situated at the elevation of the 4200m. The way to the Tokyu Gaun, you will get chances to witness nearby the river, fertile lands, buckwheat, potatoes, colorful monasteries and other Himalayan crops. With the gentle ascend, we reach to the Tokyu village inhabited by the Chiba sect communities. You will stay overnight at Tokyu Gaun. Today, early in the morning after having breakfast, we will head towards Numala Base, which is situated at the elevation of the 4665m. Today, you will have a tough trail even though picturesque of the surrounding will make your trail pleasing. During your trail, you will visit steep landscape and beautiful surrounding and finally reach to the Numala Base. You will stay overnight at Numala Base. Today, early in the morning after having breakfast, you will depart the Numala Base Camp and head towards Pelung Tang Camp, which is situated at the summit of the 4465m. Today’s trail is one of the most tough trail as compared to entire treak of Lower Dolo. The way to the Pelung Tang Camp, you will get chances to witness downhill gorges, brown landscape and vicinity strike us very much. Not only this, you will also view stunning Dhaulagiri peaks and finally reach Pelung Tang Camp. You will stay overnight at Pelung Tang Camp. Next Morning, after early breakfast, we will head towards Dajok Tang through the steep uphill to the top ridge of the hill at Baga La(5070m) and glorious Kanjirowa Peak from there you can view some stunning Himalayas and surroundings. And then the trail is steep downhill which is still challenging and eventually, you will arrive at the Dajok Tang which is located at the elevation of 4080m from the sea leavel. You will stay overnight at Dajok Tang. In this day, early in the morning after having breakfast, we will head towards Ringmo, which is situated at an elevation of 3600m. The way to the Ringmo, you will cross the pine forest, grazing meadows and descend from alpine terrain and you will finally reach to Ringmo. Overnight at Ringmo. In this day, we will explore around Ringmo village, which is very famous for pristine Phoksundo Lake, surrounded by the Tibetan Buddhist settlements. You need to hike ascend to Phoksundo Lake, where you will be amaze to visit Phoksundo Lake and a large and wide platform on the face the Lake is quite fabulous. You will also get chances to see the Yak caravans behind your way and visit the wonderful ancient monasteries and discovering the hidden social practices enchant us. Then finally, we will reach to Ringmo and stay overnight there. Today, early in the morning after having breakfast, we will continue our trek towards Shyangta, which is situated at the altitude of the 2520m. 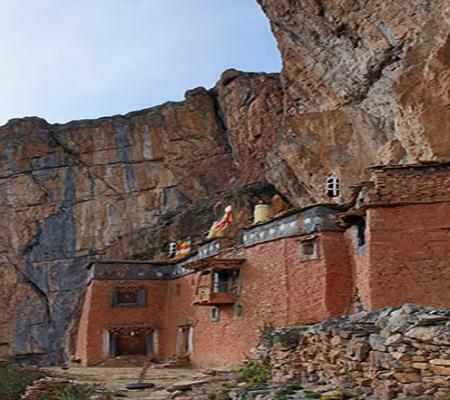 we will descend toward Chekpa and further trail goes through rocky stone step by passing barren hills and beautiful tiny Bon Po settlements and finally we will reach to Shyangta. Overnight at Shyangta. In this day, early in the morning after having breakfast, we will head towards Jhupal through sloppy, crossing Sulighat, tree line behind us and you will finally reach at the top. Then you will finally reach to the beautiful Village Juphal. Overnight at Jhupal. Today is your final day of your lower Dolpo- Jomsom trek and you will finally end here your long-isolated foothill journey. You will take scenic air-flight from Jhupal to Nepalgunj and after you reach to Nepalgunj, you will take a connecting flight for Kathmandu. You will do some rest after you reach to your hotel Kathmandu. You will stay overnight at hotel. Day 20 : Kathmandu rest day and enjoy farewell dinner. This is the time to say goodbye and your final departure. Where you will leave all the beautiful moments and natural scenarios of the tour. A representative will help you to depart towards your final destination. 	Air Fare from Kathmandu - Nepalgunj - Juphal; and Juphal - Nepalgunj - Kathmandu. 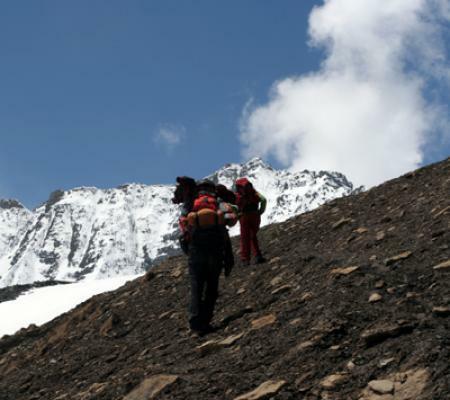 Special permit for Lower Dolpo Trek.